The increasingly popular My Family Car Stickers are available at Batehaven Newsagency. 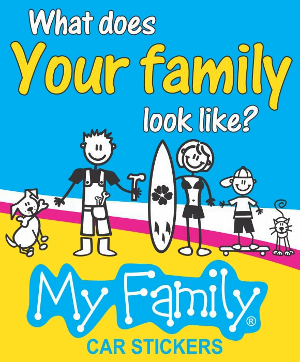 The My Family stickers are a fun range of family sticker characters especially designed for you to be able to create your own unique sticker family. You can put them on your car's back windscreen or side windows, stick them on your letterbox or wherever else you can think of! 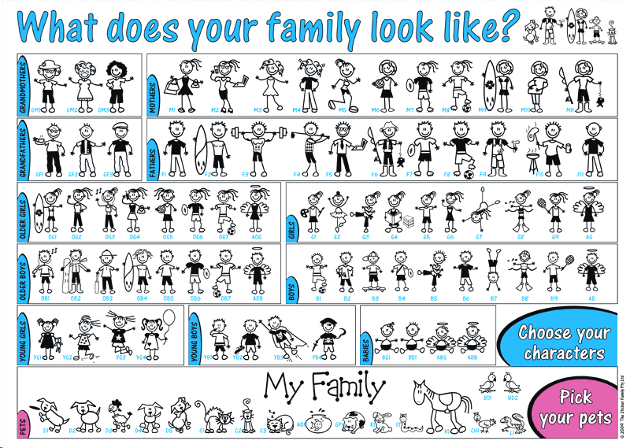 Simply choose from our family sticker range of characters and create your very own family in stickers! My Family car stickers are a really great gift idea.